Volunteers are needed for when the Minnesota Thunderbirds Air Show comes to the Mankato airport this June. The Kiwanis Club is recruiting local groups and individuals to volunteer. They say about one–thousands volunteers are needed....500 for each day. Scott Wojcik says, "It's a great opportunity to get some funds for your organization and to get to see a great air show." The show is June 27th and 28th. 1. We are looking for volunteer groups of 10 or more individuals. If you are interested in more volunteer hours, you can schedule multiple volunteer shifts. 3. Volunteer benefits include: Free admission to an incredible event, food voucher, T-shirt, and an opportunity to raise funds for your organization. The 2012 event donated $15 per volunteer (it was increased to $30 based on the success of the event). This year the goal is to provide at least $15 per volunteer and it is possible this amount will be increased again based upon the success of the event. 4. The volunteer orientation meeting is tentatively scheduled for Wednesday, June 24th from 6:00pm -8:00pm at the Verizon Wireless Center in Mankato. We ask one volunteer from your organization to attend the orientation meeting. 5. Volunteers age 10-14 should be with an adult chaperone. Volunteers age 14+ can be on their own within groups. REDDING, Calif. - The Redding Municipal Airport welcomed a big change to the tarmac Thursday afternoon. The airport switched their commercial planes from the 30-passenger Embraer 120 Brasilia to the 50-passenger Bombardier CRJ-200 jet plane. Airport management and passengers say it's a major upgrade. "Any growth is exciting and this is very very exciting. It's simply a key that even if you fill up your planes you got to get that passenger count up you got to get a bigger aircraft," said Redding Airport Manager Bryant Garrett. Garrett said they've increased the overall amount of seats 10 percent. The new jet will have 50 seats instead of 30 in the old propeller plane. Garrett said there are plenty benefits to the Bombardier CRJ-200. "They are more efficient at altitude. They are more efficient at that so there is less fuel used and we don't have a long distance to go. They go up and hit altitude, short flight, then back down," Garrett shared. One of the first passengers off the flight, Mark Parker, said his experience was enjoyable. "It was great, it was a lot quieter than the propeller flights into here," Parker said. Another passenger who boarded the plane, Jamie Jacobsen, didn't realize he was going to board a historical flight. "I wasn't aware that I am one of the first passengers but yea I am really excited about it," Jacobsen shared. Jacobsen thinks the new jets will make traveling much easier. "Who wants to drive to Sacramento, when you don't have to. It will be nice to come home get in your car and go home instead of having a 2 to 3 hour drive ahead of you. It's much nicer," Jacobsen said. There are more seats available, but there are less flight departures. 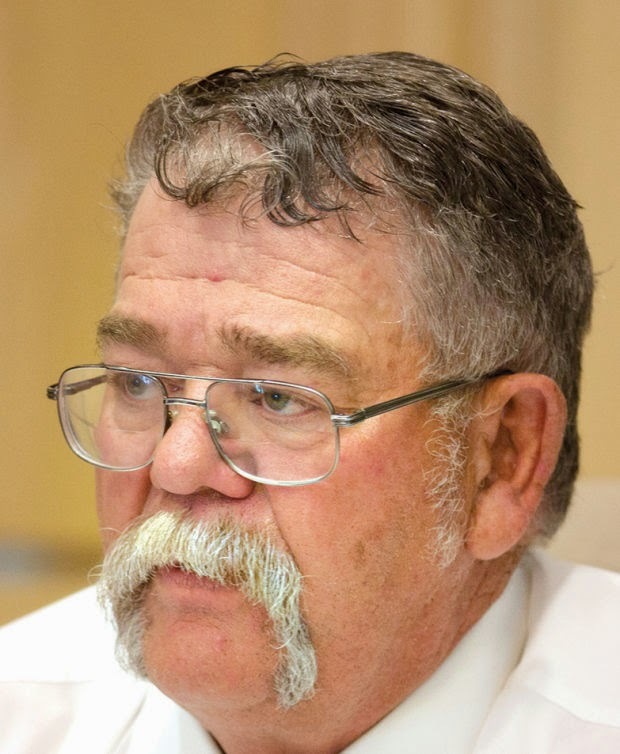 There used to be 3 departures but now there are two leaving at 5:30 a.m. and 3:20 p.m.
ELKO – A Senate bill to increase airline service in northern Nevada was met with general approval during a legislative hearing Thursday. Sen. Pete Goicoechea, R-Eureka, who sponsored Senate Bill 125 along with Assemblyman John Ellison, R-Elko, spoke during the hearing before the Senate's Committee on Revenue and Economic Development. The City of Elko has also sponsored the bill, and Elko Regional Airport hopes to re-establish air service to Reno. Elko lost all flights to the western city in 2006. The bill would create a Nevada Air Services Development Commission which would receive $1 million a year to fund airline services. The agency receiving the funds, such as a city or county government, would need to provide a 20 percent match. He said the proposal would also create new airline destinations to Oakland, and Mammoth Lakes, California; and Boise, Idaho. However, committee member Sen. Aaron Ford, D-Las Vegas, pointed out that the money for the bill has not be allocated in the state budget. Airport Director Mark Gibbs said a study found six out of 10 of the top destinations in northern Nevada are west of Elko, and the City’s airport currently only flies east to Salt Lake City. Gibbs said it is estimated that 15,000 to 20,000 passengers would travel to Reno in the first year if air service was re-established. In order for the service to break even, the airline needs 16,000 passengers annually. In the past, Elko averaged 17,800 passengers on its flight to Reno, and Gibbs believes that average will only increase if the flights are re-instated. “We believe after one year the airline will be economical,” he said. Gibbs estimated a roundtrip ticket to Reno from Elko would cost about $276. The airport is aiming to keep that price on the lower end to market to people who are currently driving to Reno, he said. The legislative board heard from several people, including the CEO of Reno-Tahoe International Airport and a representative of Southwest Airlines, who spoke in support of the bill. No one spoke in opposition to the bill during the meeting. “It’s pretty clear to me this is an important bill for northern Nevada,” said Sen. Marc Roberson, R-Henderson, who chairs the committee. He said the bill would be part of a senate work session on Tuesday. MISSOULA, Mont. - Thursday Neptune Aviation had its first air tanker go under contract with the Forest Service. It means it is officially fire season now for Neptune Aviation. Crews are working diligently to get planes ready for fire season. Preparation on the planes can take anywhere from six to eight weeks. "We fabricate the actual tanking system and do the insulation in the aircraft and then it's ready to go out as an aerial firefighting aircraft," said Neptune Aviation CEO Ron Hooper. Installing the tank isn't the only thing the crew does. The tank takes up about 60 percent of the aircraft. First crews have to gut out the interior and take out anything that's not essential for firefighting, like the seats. The main goal is to get the weight off the plane so it can hold the tank. "The tank is about 5,000 pounds and then we carry about 30,000 pounds of retardant in that tank so the tank and retardant is about 35,000 pounds," said Hooper. The maximum weight the planes can hold is around 85,000 to 90,000 pounds. Neptune currently has seven airplanes on contract, six are P2Vs and one is a BAe 146. Once the planes are under contract, they are at the disposal of the Fire Service. Neptune doesn't control where the aircraft go or what fires they are assigned to. Neptune provides the pilot, co-pilot and mechanics but the planes need to be in tip top shape before takeoff. "We try to accomplish our maintenance from November through March, April, usually," said Hooper. Throughout those months, the crew has prepared 12 aircraft that are tanked and ready for this year's fire season. Neptune is also preparing for their charter service expansion, which kicks off in August. Right now, they are figuring out the logistics, which include working with businesses and finding out what works best for them for schedule, destination and days of the week. They are researching to finalize the best service schedule for everyone. Starting in August, Neptune Aviation will have three aircraft on scheduled flight times for routes between Billings and Missoula. 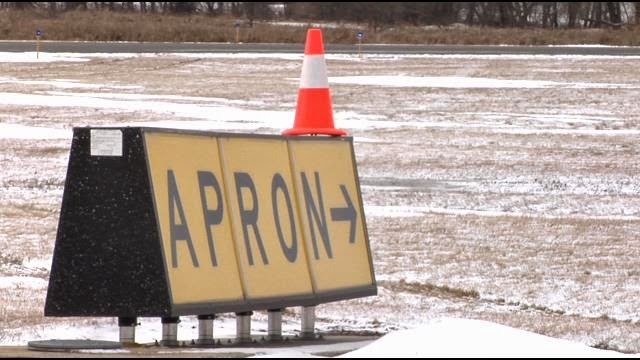 QUINCY, ILL. -- The Quincy Regional Airport is under an investigation regarding proper training records for its workers. The Federal Aviation Administration requested documents to see if training was properly given. But one city official says not keeping track of the training was minor mistake. "Well there's a lot of training that goes on at the airport and it goes on daily," Glenda Hackemack said. Hackemack is the Director of Administrative Services in Quincy. She says training being done at the Quincy airport was put into question recently. "We went and looked at it and there were some questions as to whether it was documented correctly or not so there were some discrepancies," Hackemack said. But not the typical computer training that most of us are used to. "It could be just gong to the perimeter of the fence because you have to document because that's part of wildlife assessment, so that's consider training as far as how some guidelines fall," Hackemack said. She says with departments within the city getting smaller and smaller, it's hard to keep up with documentation. And when that happens. Hackemack and other city officials take proper action. "We self-reported to the FAA to let them know we did have some questionable discrepancies with our paperwork and the training process," Hackemack said. Hackemack says workers at the airport double checked to make sure the proper training was being done. "We redid the training that were in question as well as the ones that were not even in question, we redid all of them and all that information was forwarded to the FAA," Hackemack said. When the FAA wanted to investigate, there was no problem in lending a helping hand. "They were requested some documentation to be sent to them," Hackemack said "We sent it to them in a proper time, gave them all the information they requested and we're just waiting to hear back." Hackemack says there's nothing to hide as she and other city officials were proactive in reporting the training issues. "We wanted to just let them know that we have discovered this and are cooperating with them and gave them what they recommended," Hackemack said. After nine years of providing low-cost flights to major tourist destinations, Allegiant Air has announced that it will pull out of the Duluth market. The Duluth International Airport was notified Wednesday that the airline will end its twice-weekly flights to Las Vegas on May 18, said Natalie Peterson, the airport’s communications and marketing director. The airline, which last year ended its flights to and from Phoenix and Orlando, had previously said it would suspend the Las Vegas flights in August. Customers who had booked flights beyond May 18 will be contacted by Allegiant and offered a full refund. The airline’s departure will result in the loss of one full-time and 11 part-time or seasonal jobs in Duluth, Peterson said. Allegiant did not cite reasons for its departure, but Peterson said the airline has made a push to enter larger markets. Based in Las Vegas, Allegiant has specialized in offering low-fare flights from regional airports to tourist destinations. Allegiant’s plan to suspend service between Duluth and Las Vegas in August was first reported by the News Tribune on Monday. At the time, airport officials said they expected the service to resume at a later date. Allegiant entered the Duluth market with direct flights between Duluth and Las Vegas on Jan. 11, 2006. The airline’s passenger numbers continued to grow until 2012, before beginning to slip. The airline ended its Duluth-Phoenix service in July and its Duluth-Orlando flights in September due to insufficient demand. Both routes had been reduced from year-round to seasonal service before they were eliminated completely. Peterson said airport officials have been in conversations for more than 18 months with other airlines about bringing service to Las Vegas and other destinations. She said the airport is healthy, reporting four strong years of traffic. The loss of Allegiant will leave Duluth with daily flights to and from Minneapolis-St. Paul, Chicago and Detroit. ORANJESTAD – Recently Tiara Air obtained the renewal of its Air Operator Certificate (AOC). With the AOC now, Tiara is working to start flying again after a period of voluntary cease of operations. As widely known, Tiara’s operation had been affected by the delay in approvals to exchange Venezuelan Bolivares to US dollars. The company has re-organized during this period and is preparing to restart operations soon that are strategically less dependent on the Venezuela Bolivar sales. Tiara has been preparing a payment plan for its creditors, under supervision of the Administrator appointed by the Aruban court. The payment plan will be discussed in the next creditors meeting, and upon agreement, Tiara Air is planning on exiting its payment protection. Tiara Air’s Managing Director, Alejandro Muyale, is extremely proud of and thankful for the employees that in one way or another showed support to the Aruban airline. Tiara Air also wants to extend its thanks to the various entities and creditors for having maintained their cooperation during its challenging times. In the coming weeks Tiara will make announcements regarding starting dates and destinations. The Aruban airline is looking forward to offer friendly, affordable and reliable flight service to all its passengers. In an unprecedented move, the civil aviation ministry is planning to put in place an “anti-poaching” arrangement that seeks to effectively bar airlines from poaching cabin crew and pilots from competitors. Minister of State for Civil Aviation Mahesh Sharma indicated on Thursday that he wants airlines to give an “informal commitment” against poaching cabin crew and pilots from each other. “We will call all the airlines for a meeting on this issue,” he said. The minister’s comments come close on the heels of reported delays in Air India flights, purportedly due to shortage of crew. Industry sources said newer airlines have also been facing a staff crunch due to aggressive poaching by larger competitors. Air India was recently directed by the Civil Aviation Secretary to hire 800 cabin crew members. The airline is also looking at recruiting 197 pilots. Industry experts, however, said any attempt to formulate such a law was untenable as it goes against the continued on norms of a free market. “Such a pact would interfere with freedom of trade and profession of cabin crew and pilots. It will be against their service contracts. It is a non-starter. The role of the government is to regulate and not interfere in day-to-day operations. There should be free movement of capital and resources,” said Ramesh Vaidyanathan, managing partner, Advaya Legal. “In a free market economy, pilots should be free to move across employers. Airlines that spend money on training etc can always recover the same in part or full, from departing pilots as per the employment contract. Pilots in India suffer an unduly high notice period of six months instead of two-three months,” said Amber Dubey, partner and India head of aerospace and defense at global consultancy KPMG. Interestingly, in the United States, Apple, Google, Intel and Adobe are reported to be close to a $415 million settlement in an ongoing anti-poaching class-action lawsuit. In 2011, tech workers had filed an anti-trust class-action lawsuit against Apple, Google, Adobe and Intel, alleging that the four companies reached anti-poaching agreements that resulted in less job mobility and lower salaries. Apple and Google were also accused of signing one of the earliest wage-fixing deals in 2005. According to court documents, up to one million tech employees may have been affected by the agreements. Meanwhile, Sharma said the government has “no immediate plans” to divest its stake in the national carrier or bring in a strategic partner. He also said it was important to have a national carrier and added that for the next six months the government’s focus would be to improve the on-time performance of the airline. Thr U.S. Air Force says it operates within the flight safety norms and will look into the reported near collision incident that purportedly involved a military aircraft and a Star Marianas Air plane. A near collision is defined as an incident associated with the operation of an aircraft in which a possibility of collision occurs as a result of proximity of less than 500 feet to another aircraft. “As for the evening of Feb. 25, two C-130s departed Andersen Air Force Base, Guam, at 5:30 p.m., and were in the vicinity of Tinian at approximately 6 p.m. The pilots flying those aircraft followed established radio procedures in contacting both Common Traffic Advisory Frequency and the Saipan Tower. This included the required calls for clearance to transit the airspace in question,” he said. Honchul said the C-130 crewmembers were aware of the general aviation traffic at all times both visually and through the onboard Traffic Collision Advisory System or TCAS. “The Airmen remained visually clear of the traffic, maintaining at least a one mile lateral separation, in accordance with Visual Flight Rules. At no time did the TCAS indicate a hazardous situation,” he said. Honchul said standard aviation practice dictates that when there is a question of flight safety, an aircrew files a Hazardous Air Traffic Report or HATR with the Federal Aviation Administration for further investigation. “Our crews did not file a report, believing the transit was conducted in a safe manner,” he said. As of yesterday, Colonel Honchul said the FAA on Guam had not given the U.S. Air Force any indications that a HATR had been filed by others. “Should one be filed, we will fully support them in their investigation,” he said. Meanwhile, yesterday, Governor Eloy S. Inos had asked to be briefed on the incident. Governor Inos said that he was “surprised like everyone else” upon reading the news account of the NMAC. He said, “It is my hope that if a similar such incident should ever occur in the future, I would appreciate being informed of such an incident in advance instead of reading about in the newspaper." Variety learned that the NMAC reporting program provides information that can be used to enhance safety and efficiency in the National Airspace System. FAA use data culled from the NMAC reports to improve the quality of services. All NMAC reports are thoroughly investigated by Flight Standards Facilities in coordination with Air Traffic Facilities. Data are transmitted to FAA Washington, D.C. where these data are analyzed and compiled and where safety programs and recommendations are developed. Star Marianas Air Inc. president Shaun Christian sees a silver lining following this incident. Christian said Star Marianas Air averages more than 137 flights per day. He anticipates that this will grow as Tinian develops further. Moreover, Christian told Variety there was a similar incident on Rota recently; however, this did not fall within the definition of near mid-air collision. The most recent military exercise was the multilateral annual exercise Cope North which involved the participation of the U.S. Air Force, Philippine Air Force, Japan Self Defense Force, Korean Air Force, Royal Australian Air Force and Royal New Zealand Air Force. Christian himself had encountered a similar incident. “I also personally had an occurrence in Rota a few weeks ago where an Australian C-130 entered the active runway while I was on approach to landing without making any radio announcements or checking for any traffic in the flight pattern resulting in me having to go around,” he said. He clarified, however, that there was no violation of any regulations as Rota’s airport is “uncontrolled” and technically aircraft not equipped with radios are allowed to operate from the airport without making any communications. In his report transmitted to the authorities, the Star Marianas Air pilot stated that the incident occurred during a flight on Wednesday afternoon around 5 p.m. He said it was in the Delta airspace. While in this airspace, he spotted a C-130 coming directly at the plane coming from the North Field at the same altitude and within the Delta airspace. 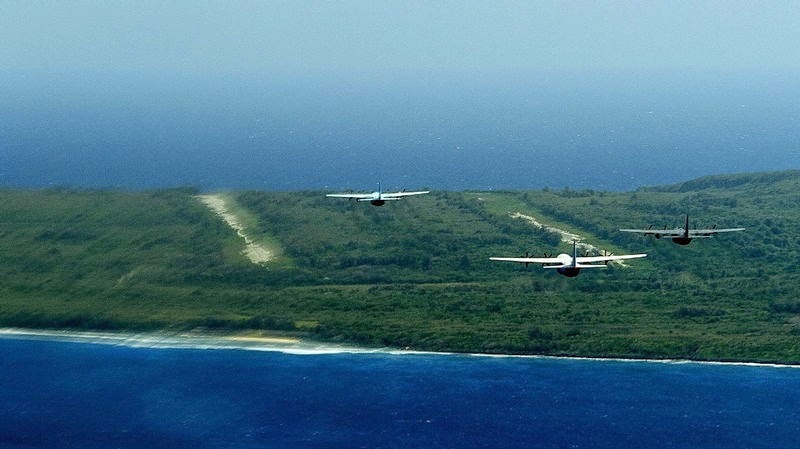 “The aircraft was being followed by another C-130 which was slightly off the lead C-130’s left wing and both had nose high altitude and were climbing in my direction; directly through the standard altitude and routing that is flown by all inter-island aircraft,” the pilot’s report read. The pilot said he called the tower to report that the C-130 was coming at him within about 300 feet and inquired whether the tower knew of the aircraft beign there. The pilot said the tower had not known that the aircraft had just called the tower. Meanwhile, Christian told Variety yesterday that their pilot has been in contact with FAA in Renton, Washington office. He said it was verified after reviewing the Saipan tower tapes that the C-130 was communicating with Saipan tower at the same time the pilot reported the close encounter, on a military band UHF channel that is not able to be heard by civilian aircraft which utilize VHF radio frequencies. Variety learned that military aircraft more often use UHF frequencies which civilian aircraft don’t have. “We understand that they are currently looking into the occurrence, but we do not have any details as to what their investigation will entail,” added Christian. He recommended that altitude should be kept at or below 500 feet until cleared of the standard routing. The military is also asked to use VHF frequencies. A formation of Japan Self-Defense Force, U.S. Air Force and Royal Australian Air Force C-130 Hercules aircraft fly over North Field, Tinian, Marianna Islands, during Cope North 15, February 26, 2015. Delta Air Lines Inc was sued on Tuesday by the Port Authority of New York and New Jersey for damage caused when a jet skidded off a runway at LaGuardia Airport during a March 5, 2015, snowstorm. The complaint seeks $750,047 for property damage and other costs that allegedly occurred when Flight 1086 veered off Runway 13 after touchdown, struck a fence and came to rest on an embankment, just short of plunging into frigid Flushing Bay. According to the Port Authority, which operates the airport, the incident "was caused solely by the negligence of Delta and its agents," including the pilot of the MD-88 aircraft. The complaint filed in the state supreme court in Manhattan did not specify what damage occurred. Delta declined to comment. The Port Authority had no immediate additional comment. A September 2016 report by the National Transportation Safety Board said the incident was probably caused by the pilot's use of excessive reverse thrust, resulting in an "inability to maintain directional control" of the airplane. It said other factors were the pilot's focus on other aspects of the landing, and stress resulting from concern about stopping on the relatively short, snow-covered runway. None of the 127 passengers and five crew members was seriously injured, though 29 passengers suffered minor injuries, the NTSB said. 1.) How Frequently Do Such Accidents Occur? Rolling or sliding off the side or the end of a runway during landing is the most frequent type of airliner accident world-wide, with more than three dozen commercial flights on average trundling off snowy or wet strips each year. So-called runway excursions have climbed sharply in recent years to become the primary cause of major damage to airliners world-wide. But they rank relatively low on the list of causes of fatalities. According to some accident data bases, runway excursions have accounted for nearly half of all major crashes globally since the 1990s but less than one-sixth of fatalities. Historically, that still has meant an average of 80 or more fatalities annually. 2.) Why Are There Fewer Fatalities Versus Other Crash Categories? Runway overruns typically happen when aircraft already are braking or otherwise trying to slow down, so the impact forces tend to be less than accidents during approach or takeoff. In addition, enhanced regulations over the years have strengthened seats to better protect passengers, prevent seats from breaking loose and changed internal cabin materials to reduce the likelihood of fires if planes do rupture or landing gear are ripped off at impact. Improved emergency-response training also has helped produce fewer fatalities. U.S. authorities also have committed some $3 billion as part of a mandatory a policy of enlarging buffer zones at the ends of certain runways, or installing a special crushable surfaces designed to safely stop aircraft if they end up off strips. According to the FAA, since 1999 such material has successfully stopped eight aircraft, preventing more serious incidents at U.S. airports. 3.) What Pilot Training Improvements Are Underway to Reduce Dangers? Regulators, pilot unions and safety experts have been striving for years on various fronts to prevent runway crashes. Airlines increasingly have stressed strict cockpit discipline to ensure that pilots don’t touch down if their aircraft is flying too fast or approaching the runway at an excessively steep rate of descent. Such missteps can lead to landing too far down the strip, which is the primary cause of runway overruns. So-called stabilized approaches–requiring planes to be at precisely the right speed and altitude–are supposed to be followed during the last 500 or 1,000 feet of every landing approach. International air-safety officials and industry-sponsored groups have distributed thousands of training packages and related materials stressing those principles to airlines and pilots around the world. 4.) Is There New Technology Available to Prevent Runway Overruns? Modern aircraft are equipped with antiskid brakes, designed to automatically adjust pressure depending on aircraft weight, weather and other factors. European plane maker Airbus has been among those leading the way with additional onboard equipment to prevent runway excursions. The technology, which provides pilots with real-time data about braking distance, also issues explicit warnings when computers determine that an approaching aircraft won’t be able to safely stop after touchdown under given weather and runway conditions. Moreover, a number of companies and airlines have tested cutting-edge technology to provide more accurate and timely information to pilots about detailed conditions on the tarmac, particularly during bad weather. The updates aim to replace subjective reports pilots now provide to air-traffic controllers in radio transmissions, information which is then passed on to other crews preparing to land. 5.) What Are Some Other Runway Accidents That Avoided Fatalities? Runway overruns in previous years may have amounted to as much as 45% of the overall safety risk facing airlines globally, according to leaders of the International Air Transport Association, the largest industry trade group. In 2009, an American Airlines Boeing 737 skidded off the runway and broke into three sections while landing in stormy weather in Kingston, Jamaica. Dozens of passengers received minor injuries in the crash, which raised questions about how well some jetliner braking systems perform on various runway surfaces in rainy conditions. Four years earlier, an Air France A340 landing in Toronto amid stormy weather was unable to stop on the runway, careened to the left down a slope and caught fire. The aircraft was destroyed, yet all of the 309 people onboard were evacuated without a fatality. 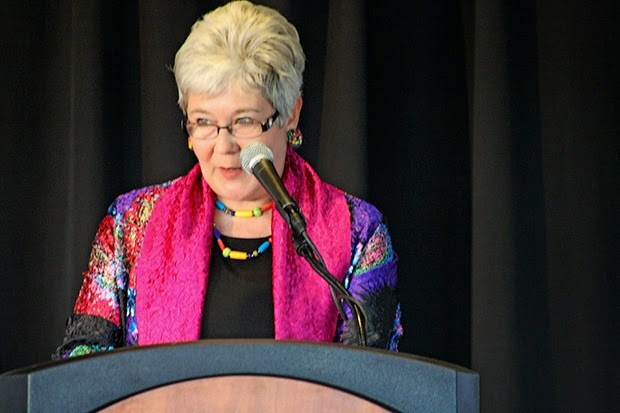 Kent Mayor Suzette Cooke hopes to be able to brag even more in a few weeks than she did on Wednesday during her State of the City speech. The U.S. General Services Administration plans to pick a site on March 30 from among applications from several cities for a 300,000-square-foot Federal Aviation Administration (FAA) facility to handle about 1,600 employees. Kent wants the facility to be built where the city-owned Riverbend Golf Complex's par 3 course now sits. "The deal is truly a grand slam if we win it," Cooke said to a Kent Chamber of Commerce luncheon crowd at the ShoWare Center. "We will receive property tax revenue, permit fees and best of all, there will be 1,600 well-paid employees in our city every day shopping and eating in Kent, enjoying all of the assets that our great city has to offer." The Kent City Council voted 5-1 in January to approve the conditional sale of the 18.5-acre site to a partnership led by the Texas-based Trammell Crow Company, one of the nation’s leading commercial real estate developers and investors. Cooke said the sale price was $10 million. "This deal would also allow us a sustainable future for the Riverbend Golf Complex," said Cooke, in her 10th year as mayor. "Not only would we be able to pay off the operating debt (of about $2.6 million), we would finally be able to reinvest in the 18-hole golf course (capital costs estimated at $6 million)." Cooke emphasized it's a highly competitive fight among several cities to acquire the FAA offices. But she knows what a boost the facility would be to Kent. The new offices are scheduled to open in August 2017. "Imagine what other economic opportunities this development could attract, this gateway of our community," she said about the Meeker Street site along the Green River. The mayor spent several minutes boasting about the numerous businesses in the warehouse district and how much she looks forward to the January opening of the new Amazon fulfillment center on property formerly owned by Boeing. "Amazon is shipping 500 more jobs to Kent when its state-of-the-art, 1.2 million-square-foot-fulfillment center is finished," Cooke said. Amazon officials plan to use drones to deliver some of the products, the mayor said. "That might sound controversial to some of us but this technology will likely be as commonplace as our smartphones are today," she said. The two new downtown apartment complexes, one finished and one under construction, received plenty of praise from Cooke. The Platform Apartments, along West Smith Street and Fourth Avenue North, are 70 percent leased since opening in October. "As our first community urban-style, urban-quality, multifamily housing project, it has set the new standard for downtown living," Cooke said. "The 172 units translates to over 250 people that weren't downtown before. These people will help ensure restaurants are full on Wednesday nights not just on weekends or when there are ShoWare Center events." Seattle developer Tarragon is building the 154-unit Kent Station Apartments along Fourth Avenue North, on the same property as the shopping center and just a block up from The Platform Apartments. The Kent Station Apartments are expected to be finished in spring 2016. "Their building is valued at over $15 million, an investment that will further enliven Kent's downtown," Cooke said. Cooke admitted, however, that not everything is rosy in the city. She said city finances remain a challenge because budgets are no longer sustainable with the annual 1 percent limit on property tax increases. "The budget unanimously passed (in December) by council addressed a general fund shortfall of about $2.3 million this year and a $3.9 million shortfall in 2016," she said. "While I proposed a higher B&O tax, the council instead chose modest increases in property taxes and permit fees. Even with these changes, the structural deficit remains." The mayor said she and the council soon will form a 15-member task force to recommend what the city's service delivery model should look like in the future. Cooke didn't touch on how to address the more than $3.2 million operating deficit at the city-owned ShoWare Center since it opened in 2009, including a record-setting loss of $752,324 in 2014. She said the arena has plenty of economic impact on Kent. "One thing to always keep in mind as we look at the finances of this facility, its activities are pumping an average of $23 million a year into our local economy," she said. 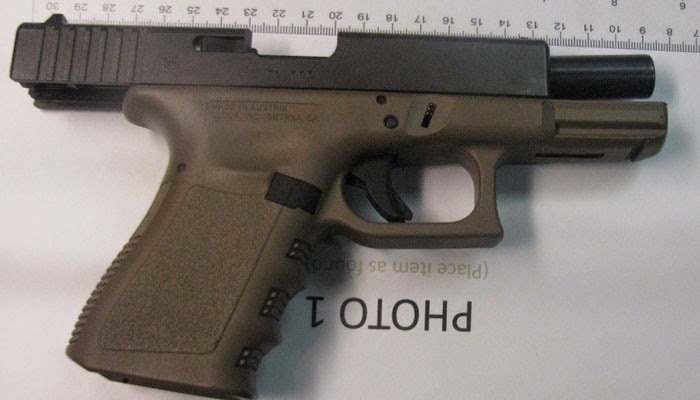 LYNCHBURG (WSLS 10) - A local man was arrested for trying to bring a loaded, semi-automatic handgun onto a plane. TSA agents at the Lynchburg Regional Airport Authority Police stopped the man at the Lynchburg Regional Airport Wednesday. 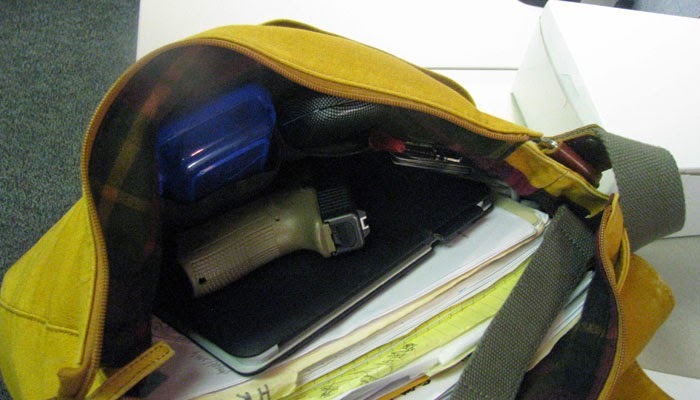 The Lynchburg man had the .40 caliber semi-automatic gun, which was loaded with 13 rounds, in his carry-on bag. The TSA officer who was staffing the checkpoint X-ray machine detected the handgun tucked inside the man's messenger bag as it passed along the conveyor belt. TSA officers contacted the airport authority police who responded to the checkpoint, confiscated the firearm and arrested the man on a state weapons charge. There was no impact to airport operations. Madison (WKOW) – Dane county officials are using a popular quiz show to help get the word out about the Dane County Regional Airport. They officially launched the "Who Knew?" campaign on Tuesday. It's based on the "Whad'ya Know?" quiz show on NPR hosted by Madison native Michael Feldman. The goal with the radio, TV, online, and outdoor ad campaign is to get local travelers informed about what the airport offers right in their backyard. Travelers can also take a “Who Knew?” quiz about the airport online as part of the campaign for a chance to win a $250 Visa gift card. To take the quiz and learn more about the campaign, click here. A pilot recently convicted in connection with a $1m drug seizure will remain behind bars until the conclusion of his appeal, the Court of Appeal ruled yesterday. 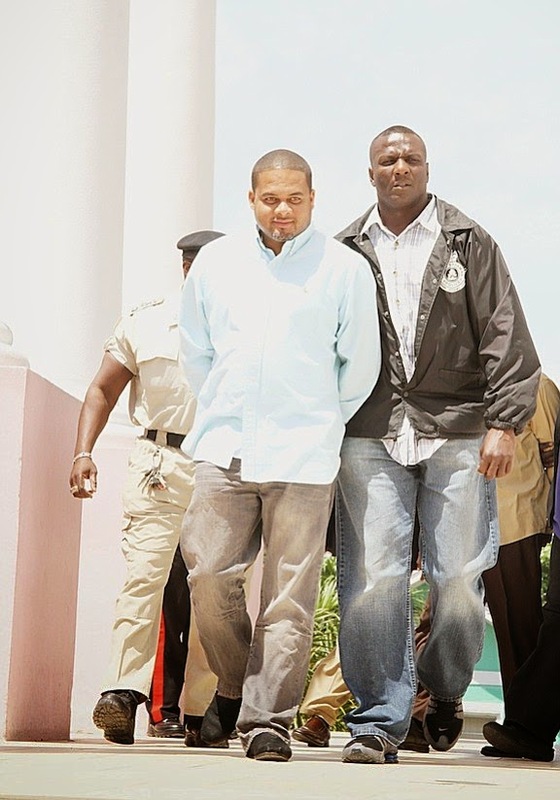 Darryl Bartlett and his lawyer, Murrio Ducille, appeared before Justices Abdulai Conteh, Neville Adderley and Jon Isaacs seeking bail ahead of Bartlett’s hearing against conviction and sentence for 12 crimes he was found guilty of committing on April 7, 2014. And while the judges denied bail as there were no exceptional circumstances, the court expedited the hearing of Bartlett’s appeal against conviction to April 29. Bartlett, with Murrillo Sullivan, was convicted of three counts of possession of dangerous drugs with intent to supply, conspiracy to possess dangerous drugs with intent to supply, conspiracy to import dangerous drugs and importation of dangerous drugs. At trial, Drugs Enforcement Administration (DEA) agent Eric Durante testified that the accused were in contact with him before the flight left Canada en route to Treasure Cay, Abaco. Agent Durante said he instructed the men to bring the bags to Nassau after they contacted him during the flight, questioning why there was “heat” at the airport in Abaco. The pilots and Michael Webster, however, were arrested on their arrival at Executive Flight Support in New Providence. Webster reportedly told Inspector Weymond Demeritte, in the presence of Bartlett and Sullivan, that his girlfriend’s father asked him to deliver the bags and two cell phones to an unnamed person in Treasure Cay. At the trial, the two said they knew Durante and had been in communication with him from time to time, but denied being DEA informants. They further denied knowledge and possession of $1m worth of drugs found on the plane, in which they brought a passenger from Canada to Nassau. However, the magistrate said he found the evidence of Durante to be credible and that the prosecution had proved its case beyond a reasonable doubt. Bartlett was sentenced to two years and six months in prison while Sullivan received two years and three months. They had respectively served three and ten months on remand awaiting the outcome of the trial, which the magistrate took into account when imposing his sentence. Wichita, Kan. --- A question coming before Congress this session is whether medical certificates are necessary for private pilots? Kansas Senator Jerry Moran is co-sponsoring legislation he believes will help reverse the trend of a declining number of airplane pilots. Aviation supporters including the National Business Aviation Association welcoming the legislation which the NBAA says would allow private pilots, in certain instances, to use a driver's license instead of a FAA medical certificate. This is not about commercial or corporate pilots. It would be for those flying noncommercial VFR and IFR flights in planes weighing 6,000 pounds or less with a maximum of six seats.. planes such as small Cessna 172's and 182's up through Beechcraft Bonanzas. Co-owner of Lakepoint Aviation at Jabara Airport, Matt Bell says the bill would keep more people flying longer who still want to fly. Bell says those pilots would still be renting or purchasing planes which benefits general aviation here in Wichita, the Air Capital. Below is the news release from Sen. Moran's office. WASHINGTON – U.S. Senator Jerry Moran (R-Kan.), member of the Senate Commerce, Science and Transportation Committee, recently sponsored bipartisan legislation to support pilots and general aviation. Over the past 10 years, 60,000 pilots have left the general aviation industry. Sen. Moran joined several of his Senate colleagues in introducing two bipartisan bills to help reverse this troubling trend – the General Aviation Pilot Protection Act and the Pilots Bill of Rights 2. For many pilots, the current process of obtaining a third-class medical certificate has become burdensome and expensive, while providing very little benefit to the industry. The General Aviation Pilot Protection Act of 2015 (S. 573), introduced by U.S. Senator John Boozman (R-Ark. ), extends the 2004 Federal Aviation Administration (FAA) sport pilot rule to include slightly larger aircraft, provided certain safety requirements. NEW IBERIA — Acadiana Regional Airport in New Iberia might one day be a gateway for international trade if federal authorities can be persuaded to waive a rule that prohibits loud, older planes used in South and Central America from flying in the U.S.
Acadiana airport Director Jason Devillier said waiving the rule would make New Iberia an exclusive import-export hub, where merchants could take advantage of trade pacts the U.S. has with Mexico, Costa Rica, El Salvador, Guatemala, Honduras and the Dominican Republic. And vibrant trade also could open up with other, non-free trade pact countries if planes laden with cargo are allowed to land in New Iberia to unload, or load up American goods and take off for sale in foreign markets. “This is all about opening up trade, piggy backing on the CAFTA and NAFTA trade agreements,” Devillier said. He said the areas near the airport and south of New Iberia over which the planes would fly are sparsely populated so few people would be affected by the noise. The only U.S. runways that regularly let out-of-compliance older planes land are at Miami Dade Airport, where officials use a system of almost daily waivers granted by the FAA that allow the planes to land and take off in south Florida, Devillier said. “They’ve (Miami officials) have gotten that down to a science,” he said. Devillier and others have enlisted help from Louisiana’s congressional delegation in asking the Department of Transportation and the Federal Aviation Administration to waive rules set down in the Airport Noise and Capacity Act of 1990, which forced airlines to phase out louder, older models by 1999. Many of those jets are still flying in other parts of the world. Devillier said a group of Iberia Parish officials have scheduled a trip to Washington D.C. in June to speak to federal officials. Sen. David Vitter and U.S. Rep. Charles Boustany have been brought in on the efforts. “We’re working with the airport on options right now as Federal Aviation Administration Reauthorization legislation is due to come up on the House floor this September,” Jack Pandol, communications director for Boustany, said in an email Wednesday. Currently trade flows to and from all countries in the Caribbean — except for Cuba — and the U.S. Most of that is done via ships and planes loading and unloading in areas called free trade zones. As far as air freight, FedEx and UPS comprise the bulk of the shipments. What New Iberia seeks, Devillier said, is a niche with smaller shipments coming on older planes from foreign businesses that can’t afford the quieter planes but are still looking to break into the U.S. markets. “We’re looking for the not-so-massive volume, the smaller guys who are moving stuff from point to point,” he said. Philippe Gustin, an international trade expert who works at Lafayette Consolidated Government’s Le Centre International de Lafayette, said the effort is promising. It also has a number of hurdles, Gustin said, such as setting up the trade zone infrastructure at the airport that will entice international companies to use New Iberia. International air freight trade hubs, such as one in Huntsville, Alabama, have loading and unloading down to a science, and shippers have access to intermodal transportation: rail carriers, big trucks and reliable roads, nearby water ports for shipping, and big cargo jets. And they’re set up in Free Trade Zones, where import duties that range from 5 percent to 25 percent or more of the value of the shipment, are delayed until the goods are sold. Gustin said establishing such a zone is not easy. But Gustin sees a niche New Iberia could develop, and says that getting business from small to mid-sized companies in Central and South America is a viable way to start. “Noise abatement (waiver) is the first step because the smaller companies that use older aircraft will not come here until or unless they have that (FAA) authorization,” he said. A United States company in North Carolina has filed a lawsuit against Air Kiribati for fraud and misrepresentation. The news comes days after Air Kiribati itself claimed it was taking the company CAAMS Llc to court for failing to deliver a second Twin Otter aircraft that Air Kiribati said had been paid for in full. EVERETTE MASH: Well the situation is we actually delivered one Twin Otter already to Air Kiribati. And they were giving us, or trading in a CASA 212-200 as a partial trade in for the first Twin Otter. When we delivered the first Twin Otter we had a team of engineers over there to do the acceptance and while they were inspecting the CASA 212 to ferry it back to the US they noticed there was extensive corrosion in the airplane and the FAA engineers told them to take the tail off the airplane which they did and there was all kinds of corrosion in the Horizontal stabilizer area. The airplane should not have been flying. So Air Kiribati signed an amendment to the contract to repair or pay for the costs to fix the CASA and they never did. So we are in the process we have another Twin Otter that we were getting ready to deliver to Air Kiribati but we haven't delivered it yet because they haven't delivered the CASA to us yet. KOROI HAWKINS: And so the, just so I have got this right. With all this in play, have they paid you for the second Twin Otter? EM: No they have not paid all the money for the second Twin Otter and plus they, like I said we took the CASA 212 in on trade for 1.5 million and they never delivered the CASA. We had the CASA OEM the manufacturer give us a quotation to bring the airplane back from Kiribati to the US and they told us that the CASA cannot be flown back to the US without an extensive amount of work. So they recommended that they ship it back to the US and then we'd start the work here. We have already estimated over 900,000 US dollars just in parts that need to be put into the CASA to make it airworthy. Plus the 300 and something thousand that the manufacturer wants to charge us to bring the CASA back, so this is a very complex lawsuit. KH: If you would like to make a final statement in regards to where this is all at, at the moment and what you are working towards in terms of resolving or getting some closure on this for your end? EM: Yeah what needs to happen is that Air Kiribati needs to send one of their representatives over here and we sit down and discuss the matter. I mean they have clearly, in the lawsuit they clearly acknowledge there is a problem with delivering the CASA to CAAMS but they don't want to resolve it. They just want, go ahead and deliver the second Twin Otter then we will discuss how we are going to solve the issue with the CASA and the CASA should have been delivered to us a year ago. They have had plenty of time to have the manufacturer go over there and fix the airplane and they have done nothing but let it sit out there on the runway or on the taxiway. NBC 5 has learned the mechanic was closing and locking the door on a Boeing 767 at about 10:30 a.m. when he somehow slipped and fell about 14 feet from the jet bridge to the ground below. The plane, sources said, had just been moved from a maintenance hangar to Gate D30. Emergency responders with the airport treated and transported the man to a hospital, airport officials said. Transport Workers Union Local 591 identified the man as aircraft maintenance technician Dave Ostang and asked for thoughts and prayers for his family. American Airlines has confirmed the employee's death, but did not confirm his name or specifics about the incident in a statement released to the media Monday. "We extend our deepest sympathies to our co-worker's family and friends, and our hearts go out to our entire team of DFW airport and maintenance colleagues. Our focus is on taking care of his family and friends during this difficult time,” the airline said in a statement. A jet bridge is the elevated gangway used by passengers to walk from the terminal to an airplane. NBC 5's Ray Villeda and Katy Blakey contributed to this report. We will update this story with more information as soon as it's available. As this story is developing, elements may change. 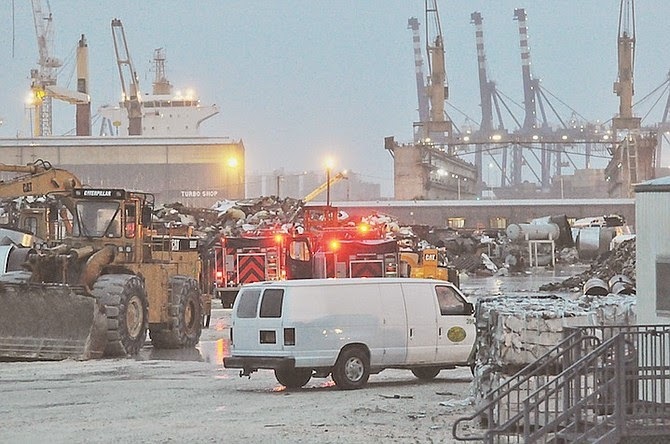 A recycling plant in Freeport, Grand Bahama has been out of operation since November 9 when a Learjet carrying Dr. Myles Munroe and eight others to a leadership conference crashed into its facility, destroying its generator and causing damages worth hundreds of thousands of dollars. Located adjacent to the Grand Bahama Shipyard, City Services Limited used to employ between 15 to 25 people but has laid off eight people since the accident, the company’s Executive Vice President Pete Hughes told this newspaper yesterday. The matter adds another dimension to the tragedy, which saw the loss of nine lives and now involves two separate legal disputes. This comes after the revelation that the pilots’ actions were the primary cause of the accident. It has been “extremely difficult” raising the funds needed to repair or replace the equipment that has been destroyed, Mr. Hughes said, adding that the remains of the jet are still “balled up” in the company’s facility, waiting to be removed. Diplomat Aviation, the company under which the Learjet was registered, is currently involved in a legal battle over an insurance pay out. The recycling company - whose damaged equipment was not insured - has therefore been unable to obtain the money needed to restart its business, The Tribune was told. The official report into the crash by the Civil Aviation Department said the management of the company placed the value of damage at over $1m. Mr. Hughes, however, said the final figure is from $750,000 to $800,000. He said the damage inflicted on the company’s equipment resulted from the jet’s crash and the actions of officers from the nearby fire department who responded to the incident. Mr. Hughes said the company has spoken to an attorney representing Diplomat Aviation who noted that attempts are being made to sort out its insurance issues. As for the remains of the jet, he expressed an eagerness to have the debris removed but is weary over what could be the cost of doing so. Last week The Tribune revealed that the estate of the only American on board the plane, Diego Desantiago, filed a lawsuit against Diplomat Aviation. It was also revealed by this newspaper in December that lawyers representing Diplomat Aviation (Bahamas) Ltd, the company under which the Learjet was registered, were embroiled in a court battle with a US-based insurance company over the pay out from a $10m liability policy. The plaintiff, XL Specialty Insurance Company, has insisted that it is under no obligation to honor the policy because it expired on November 5, 2014, four days before the crash, and was not renewed. On November 9, 2014, about 1652 eastern standard time, a Gates Learjet Corp 35A, N17UF, registered to Diplomat Aviation (Bahamas) Ltd., was destroyed when it impacted a crane and terrain during approach to Grand Bahama International Airport (MYGF), Freeport, Grand Bahama, Bahamas. The airline transport pilot, copilot, and seven passengers were fatally injured. Instrument meteorological conditions prevailed. The flight originated from Lynden Pindling International Airport (MYNN), Nassau, Bahamas, about 1600 and was operating under Bahamian flight regulations at the time of the accident. This report is for informational purposes, and only contains information released by the Commonwealth of The Bahamas.